We build beautiful brick fences for residential and commercial clients who live and work in Melbourne. Formerly trading as Melbourne Masonry and Metal, Black Barrow was established in response to our evolving direction and company philosophy. While our focus on quality construction and client expectation remains unchanged, we recognised that we needed to promote and celebrate the aspects of ourselves and our industry that are the source of our inspiration and passion. Designing and constructing brick fences is not just a job for us; it forms a significant part of our life and our identity. It is our opportunity to connect with others, to educate ourselves and to challenge our limits. 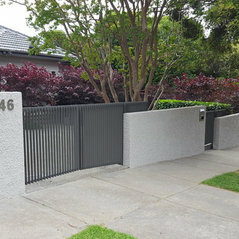 We are the premier residential and commercial brick fence builder in Melbourne and we love what we do.